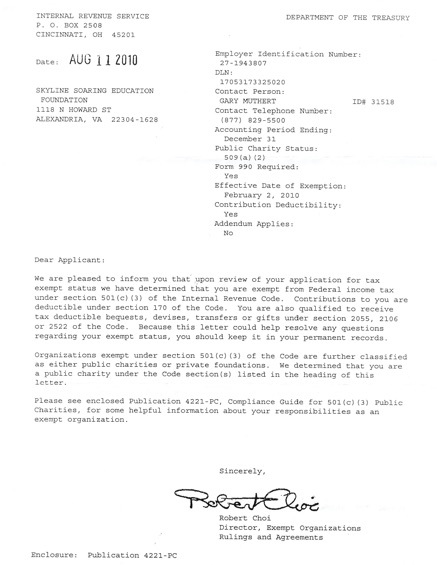 SSEF is a non-profit, public charity under Internal Revenue Code Section 501(c)3. Contributions to the foundation are tax deductible under section 170 of the Code. Our mission is to promote aviation education for young adults, by providing an opportunity to participation in the sport of soaring. 1. 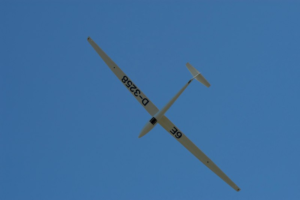 Providing flight scholarships to selected high school and college students sufficient for them to gain the knowledge and experience necessary to solo a glider. 2. Awarding introduction, orientation flights through the Soaring Society of America FAST program to individuals who are interested in soaring but who do not necessarily qualify for a full flight scholarship. 3. Conducting presentations to various educational and civic organizations to educate them on the sport of soaring. Each year SSEF awards one or more flight scholarships designed to fund thirty flights towards an FAA glider rating. Additionally we fund and “Fly A Sailplane Today” (FAST) certificates to aspiring pilots. The Foundation accepts public donations.